Executive set includes one ballpoint pen and mechanical pencil in a genuine rosewood barrel with gold-plated accents. Ballpoint pen and pencil are both refillable. This Pen Set - Rosewood Double PS-RD2 is part of our Desk Accessory Series of products, check out other products & options available in the Desk Accessory Series of our selection. 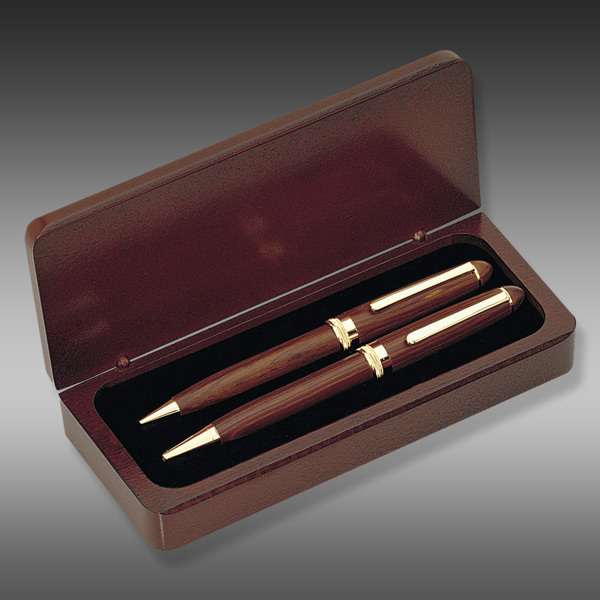 This Pen Set - Rosewood Double PS-RD2 can be modified to your requirements and is available for your corporate award programs.